Last month on March 9th, Lil Wayne put on a live concert at Melbourne Showgrounds in Victoria, Australia for a stop on the 2018 Jumanji Festival. 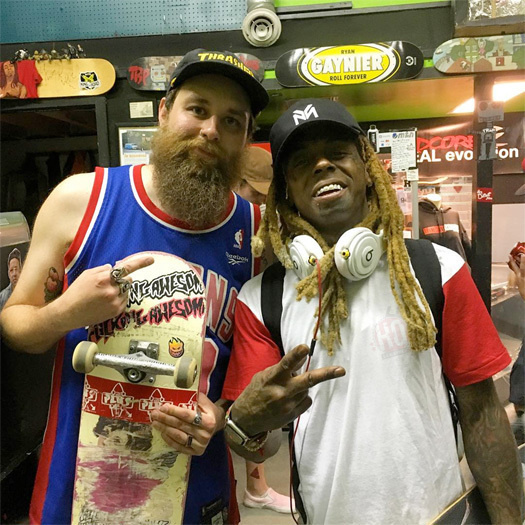 Before jumping on a flight to Sydney, Weezy also met a few of his fans at Melbourne Airport’s private jet base and posed for pictures with them. You can check out some footage of Tunechi performing “John” live at the Melbourne show and meeting his fans in the clips after the jump below! 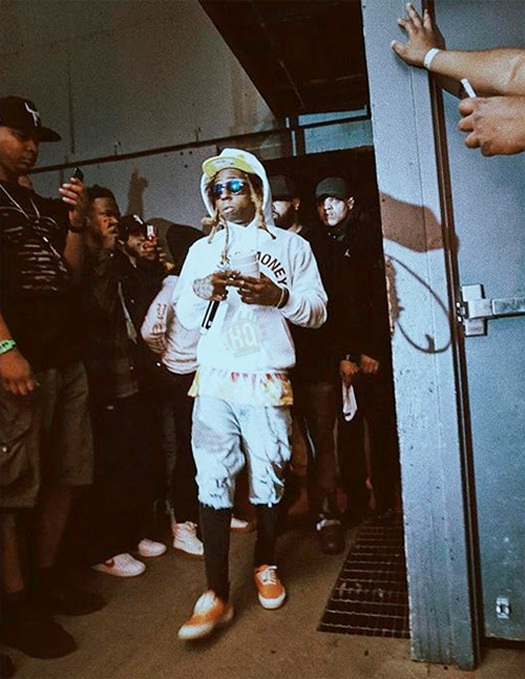 2 months ago, Lil Wayne rescheduled his show at the Target Center in Minneapolis, Minnesota from February 25th to to March 31st for “scheduling conflicts”. However, Weezy has had to reschedule the concert again as the private plane he rented out to fly to Minneapolis on had mechanical issues with the hydraulics. Tunechi caption the social media post by saying: “Minnesota I’m sorry I kouldn’t make it tonight. Had plane issues that was out of my kontrol. Will make it up to y’all and reskhedule”! According to theJasmineBRAND, Lil Wayne‘s former lawyers who represented him in the private jet leasing company case, which he lost, dropped their lawsuit against him earlier this month on August 11th. The legal team were demanding a $47,000 payment for a settlement that was reached back in June, as well as the $322,000 debt Wayne owed them. 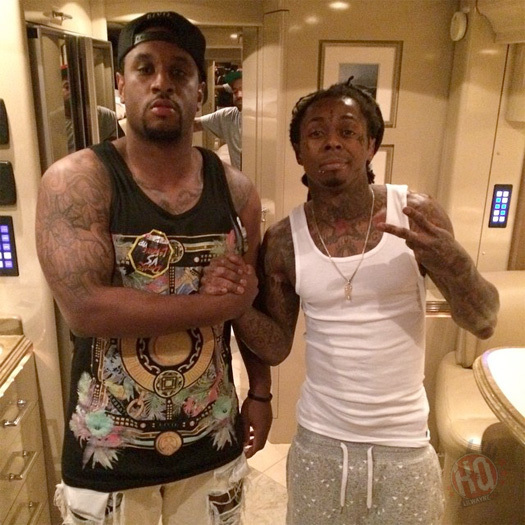 However, they have now dismissed all claims against Weezy in court. In the new court documents, it says that the lawyers are dismissing the full lawsuit forever with no chance of it being refiled in the future, so more than likely Tunechi has paid the payments he owed! 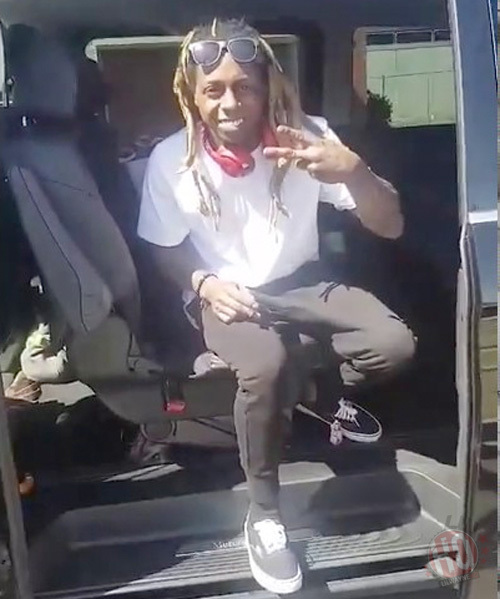 Evan Hernandez, who is a part of Lil Wayne‘s skater crew Sqvad Up, recently shared some footage of himself on Wayne‘s private jet. In the background on the clip, 2 new Weezy songs can be heard playing. 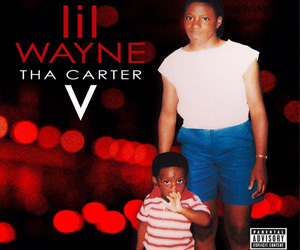 In the first preview, it sounds like the track samples LL Cool J and Jennifer Lopez’ “Control Myself” (the ZihZih part) and Tune can also be heard rapping: “put some respect on Lil Wayne”, which could be a little shot at Birdman and his “Respek” word. 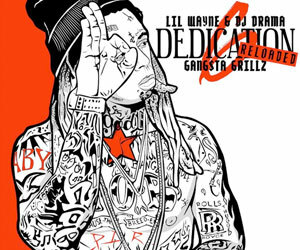 The second song will be a remix as we can hear Tunechi mentioning his popular “remix baby” saying in the sneak peek. You can check out the video of Evan after the jump below! A rep from Lil Wayne‘s team has revealed to TMZ that the two seizures Wayne suffered from on Monday were due to epilepsy, which is of course something that he has told us about before in an interview. 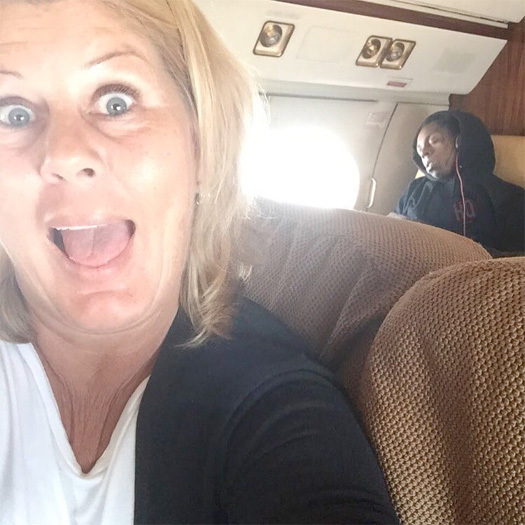 Tunechi had the epileptic attacks on his private jet, because he hadn’t taken any of his medication. He went to a pharmacy in Milwaukee and they didn’t have his medicine in stock, so Tune thought he could go without taking it for a few days, but of course it turned out he couldn’t. There were websites reporting online that Weezy suffered his seizures from downing 3 pints of lean the night before, which is something I can’t understand how anyone would believe, or even ask me to post on LilWayneHQ! There are too many people in this world who will believe anything posted online even when there is no credible source.